Johor Port will play an increasingly pivotal role in the development of Iskandar Malaysia as it continues to strengthen its position as a prime intra-Asia gateway. Malaysia is a trade-dependent economy whose strategic location and solid infrastructure enable it to play a crucial role in the movement of goods and services, both within the region and around the world. Following the overall trend of recent years, Malaysian trade in 2015 grew by 1.2 per cent compared to 2014 levels, reaching almost MYR1.5 trillion. Underpinning this upward trend in trade is Malaysia’s highly competitive logistics sector. The national logistics industry has established itself as among the best in the world, with Malaysia ranked 32 out of 160 countries in the World Bank’s Logistics Performance Index (LPI) 2016, ahead of numerous other upper-middle-income nations, including Thailand, as well as high income countries such as New Zealand. In addition to the robust standing of the overall logistics industry, a number of its constituent parts also continue to post positive results; for example, cargo volume is projected to rise 8 per cent between 2014-2020, reaching 880 million tonnes by 2020. Nonetheless, it is important for all parties to recall that the long-term growth and success of the Malaysian logistics industry is largely dependent on its world-class international seaports and container hubs, and in particular, Johor Port. Located at the southern tip of Peninsular Malaysia on the Straits of Johor, the port is strategically located to facilitate east-to-west trade. It is prominently positioned in the Pasir Gudang Industrial Estate, which itself forms part of the Eastern Gate Development zone of Flagship D of the country’s burgeoning economic corridor, Iskandar Malaysia. 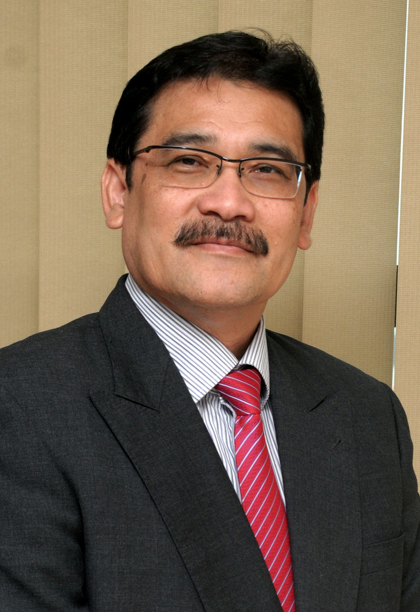 Economic development in the area is projected to increase considerably in the coming years due to Iskandar Malaysia’s estimated compound annual growth rate (CAGR) of more than 5.1 per cent to 2026. Such growth will have a positive impact on activity at Johor Port moving forward. The facility will play an increasingly important role in the economic region’s overall efforts to enhance cooperation and connectivity. Johor Port is an integrated multi-purpose port facility operated by Johor Port Berhad, a member of the MMC Group. It offers diverse services and facilities capable of handling palm oil, petroleum and petrochemical products as well as dry bulk and general cargo. The port handled a total cargo throughput of 28.7 million metric tonnes in 2015, marking a 5-year CAGR of 2.3 per cent. The port boasts the world’s largest palm oil terminal, located in its free trade zone, with storage capacity of 460,000 metric tonnes. Furthermore, it is also one of the largest ports in the region for the hubbing of non-ferrous metals and in 2004 it was designated as an approved London Metal Exchange (LME) location. It is currently ranked 6 out of 35 countries worldwide for LME cargo. 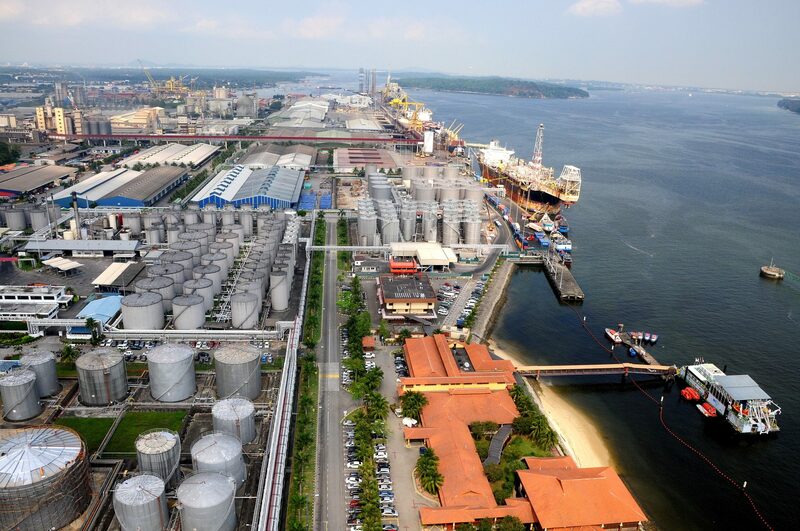 In addition, Johor Port is one of Malaysia’s largest discharging points for rice and cocoa, and the biggest edible liquid terminal in the world, with terminal tank farm capacity of almost 500,000 cubic metres. As a result of its efficiency and capacity, Johor Port has attracted a solid client base of prominent international players such as Pacorini Metals, Henry Bath and Metro International Trade Services. Other multinational clients include Shell and Chevron, among several others. Johor Port operates a total area of 1,000 acres equipped with 5 terminals and 24 berths totalling 4.9 kilometres in length. The extensive range of services and facilities within Johor Port include the break bulk terminal, dry bulk terminal, liquid terminal, container terminal, container storage yard, inland container depot and warehousing installations. The Johor Port Container Terminal (JCT) includes a 700-metre berth, which is designed to handle up to 1.2 million twenty-foot equivalent units (TEU) annually. The terminal is equipped with 8 quay cranes, 19 rubber-tyred gantry cranes, 9 stackers and 50 prime movers. As a result, JCT is able to accommodate up to 3 vessels at a time with a maximum water depth of 13.5 metres. The terminal is also equipped with 250,000 square metres of container yard and 11,000 square metres of container freight station facilities. Activities are supported by the web-based Johor Port Container Terminal System. This system allows for the facilitation of real-time, integrated, paperless transactions in order to ensure optimal commercial and operational efficiency. In addition, JCT has its own rail depot with scheduled services to the Port of Tanjung Pelepas (PTP) and connections to the national rail grid and international rail networks. This connectivity helps to optimise multimodal transport, across the country and beyond. JCT currently serves several international shipping line operators including Pacific International Lines, Wan Hai Lines, Evergreen Marine Corporation, CTP Line, ‘K’ Line Maritime, T.S. Lines and Mediterranean Shipping Company. Connectivity to and from JCT is further supported by coastal and international feeder vessels that run on a daily basis to and from the port. The main coastal operators include Perkapalan Dai Zhun, Geniki Lines, Shin Yang Shipping Corporation, as well as international feeders such as Advance Container Lines, PACC Container Line, Regional Container Lines and Pancon Shipping & Marine Services. The Johor Port Bulk and Break Bulk Terminal (BBT) operates 8 berths with a maximum water depth of 13.5 metres. It provides 73,364 square metres of open yard and over 230,000 square metres for storage facilities. The facilities handle various cargoes of different types and sizes, including both edible and non-edible dry bulk, break bulk, general cargo, heavy lift cargo and gas-related cargo. The terminal is equipped with four conveyor belts and seven mounted quay cranes, while its operations are further supported by an online Multi-Purpose Terminal System. The Johor Port Liquid Bulk Terminal provides specialised facilities to cater for both edible liquid and petrochemical cargoes. The terminal is equipped with a network of pipelines featuring multiple high-capacity loading arms to allow liquid bulk cargo to be piped directly to tank farms at high transfer rates. Within the Liquid Bulk Terminal lies the world’s largest palm oil storage facility. The jetties at this facility are able to handle four vessels at once, with loading capacity of 1,000 tonnes per hour. The tank farm within this area is capable of storing 402,500 tonnes. Berths 5 and 6 can accommodate vessels to 30,000 or 40,000 deadweight tonnage (DWT). Edible liquids, mainly soya bean oil and palm oil, are exported from a special-purpose twin-berth jetty. This jetty has a total berthing length of 657 metres and water depth of 11 metres for outer berths and 10 metres for the inner berths. The port is strategically located to facilitate east-to-west trading. Over two-thirds of Johor Port’s total area, approximately 660 acres, is designated as a Free Zone, while the port itself has been appointed as Free Zone Authority to oversee the management of the free trade sector. Within this area, users may carry out activities such as intermodal cargo conversion; packaging and labelling; processing, manufacturing and assembly; and certain import and re-export tasks. Johor Port provides more than 2,000,000 square feet of warehousing space and open yard space of approximately 600,000 square feet, which is allocated for LME cargo and break bulk cargo. In addition, over 300,000 square feet of warehousing space is available for value-added and distribution activities, and more than 250,000 square feet of warehousing space is designated for grain storage. The OIMR Centre offers a comprehensive range of services and facilities for the oil and gas industry, from lay-up facilities, manpower mobilisation, and maintenance and repair works, to an integrated suite of logistics solutions via its One-Stop Centre. The Centre extends to operators of oil rigs and their network of ships and supply boats, as well as floating production storage and offloading vessels. The Johor Port OIMR is assisting the state of Johor and the country as a whole in realising the goal of becoming the centre for the regional oil and gas industry. In addition to its port-related work, Johor Port Berhad owns two subsidiary companies. The first is JP Logistics Sdn Bhd, which is wholly owned by the parent company and was established in 1996 to provide total logistics solutions and supply chain management. The company caters to clients across the country and into neighbouring Singapore, as well as other regional ports. It is primarily involved in freight management, warehousing and distribution, shipping and marine services, and specialised logistics, including that relating to project cargo. The company currently manages approximately 310,000 square metres of warehouse space and has a comprehensive road transport service featuring a fleet of 120 vehicles comprised of both haulage and conventional trucks. The second subsidiary company of Johor Port is KOTUG Asia Sdn Bhd, a leading towage operator offering innovative and economic maritime solutions on a global scale. The company utilises a vast range of rotor tugs, e-rotor tugs and conventional tugs to supply a full scope of operational support services for escorting, berthing and safety cover. In addition, KOTUG assists in securely berthing and mooring liquefied natural gas carriers and provides support during cargo loading. It also offers distinct services such as port security, pilot transfer and standby, and pollution prevention and control. Information and communications technology (ICT) is vital to Johor Port in ensuring customers’ and users’ needs are constantly met or surpassed. The port leverages ICT to provide efficient, interactive and fast user-friendly services. ICT is also crucial for the integration of planning and execution of day-to-day operational and management activities and is, therefore, a highly important business tool. Moving forward, Johor Port will play an increasingly pivotal role as a driver of Iskandar Malaysia’s development by expanding and strengthening its position as an intra-Asia gateway. 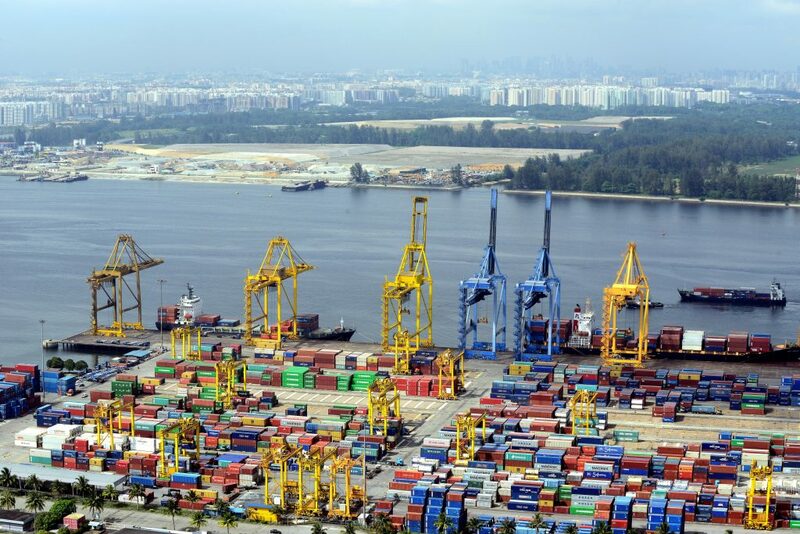 The port’s strategic location, connectivity, technology advancements and efficiency will underpin efforts to help transform it into the transport and logistics hub of Malaysia’s southern region. To further strengthen its current position, Johor Port is seeking to enhance its efficiencies and responsibilities. Efforts began back in 2012, when Johor Port established a comprehensive redevelopment plan to increase capacity and enhance the port infrastructure. More recent efforts include increasing branding and marketing by collaborating with industry players and government agencies. In addition, Johor Port Authority (JPA) will be supporting facilities to carry out transhipment, import and export activities. Finally, JPA is reviewing a plan to increase capacity handling of cargo throughput at the port to reinforce the expected rise in the region’s cargo volume, as well as to strengthen collaboration with PTP by rail and Singaporean port operator, PSA International, by feeder. These plans will be key in transforming the port into a prime conduit for global trade.